Bundled with the PSP pirate romance role-playing game One Piece Romance Dawn: Bouken no Yoake (ワンピース ロマンスドーン 冒険の夜明け). Note: This game is not based on "Romance Dawn," Oda Eiichirou's prototype manga for what would eventually become One Piece. 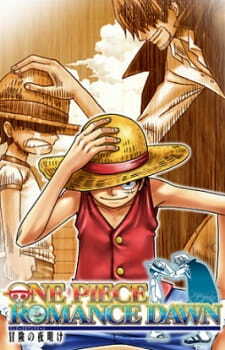 Instead, the title reflects the fact that the game covers the "Romance Dawn" arc of the manga, at the "dawn" of pirate Luffy's adventures in the East Blue.